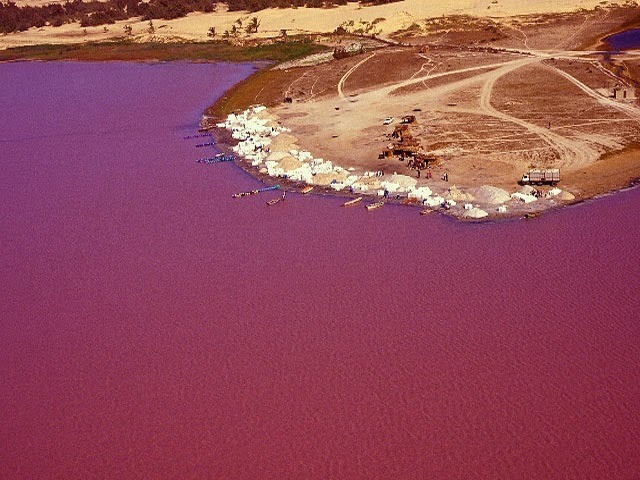 Not too long along, a post was published on World Clearest Water, you can find that here >>>chidinmainspirations.com/2014/12/world-most-clearest-waters.html?spref=tw … only to discover that there is a lake that is pink in colour. Pink? Really? I still stand to be corrected, God is the greatest architect and artist of all time! Like you cannot even fathom His ways and plans. The creations of God are just beyond amazing that words are not even enough to explain it. I STAND IN AWE OF YOU LORD. We all know that the colour of a lake or a river or an ocean is no where near the colour of pink. It might be dark blue, brown etc but not pink. 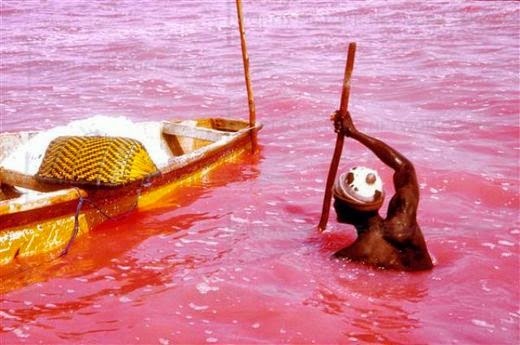 This pink lake can be found in Africa, Senegal to be precise and it is called Lake Retba. As you see pictures of the lake below, I hope you get inspired to love and appreciate the beauty in God's creations. ENJOY! Awesome! I am more than speechless... God is indeed great. Like really? Wow.seeing n hearing this for the 1st time...God is Great.. Yes dear. He really is great. Pink color, is this not because of maybe a plant or something is giving it it's color? Is this natural? If indeed it is true then wonders shall never end. I read somewhere of recent of a lake suddenly getting a red color but it was proven that it's as a result of one special algae been washed towards the bank of the lake and that it will clear back with time. You are welcome dear. 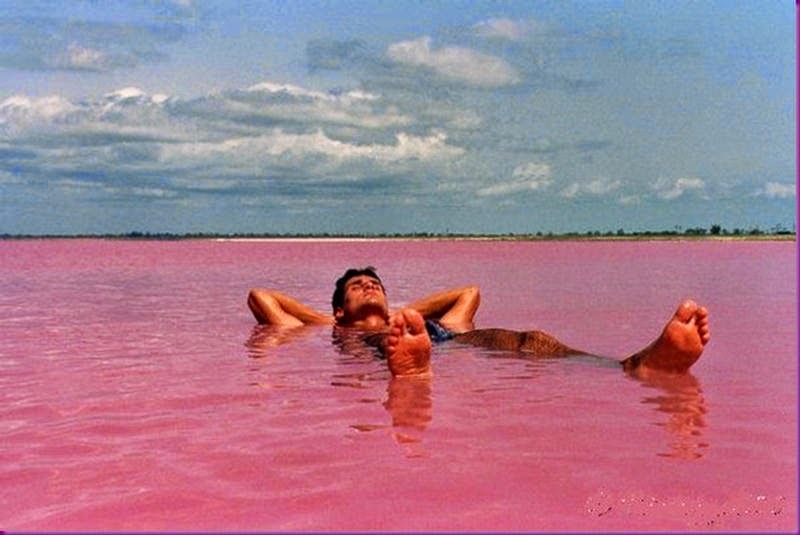 No Paul, this lake is naturally pink.